Mr. Aman Durrani passed away on April 9, 2011. Majority of the very rare songs on my website are there because of either his generosity or that of his friend late Allahdad Khan Sahib. Here is a write-up on him by our mutual friend, Dr. Khawar Siddiqui. 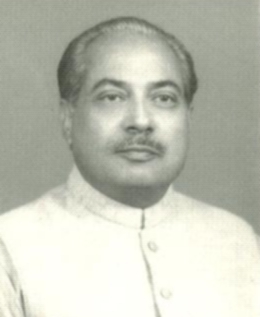 Mr. Aman Durrani was born on 12th March 1932 at Nowshera in the NWFP of British India. He was educated at the Mission High School and Edwards College, Peshawar. He joined the engineering branch of the former P & T Department in mid 1950’s and after retirement first settled in Peshawar and then at Lahore. He was also friend of the collector late Allahdad Khan sahib. He was fond of music (gramophone records and broadcast programs) from the childhood. His collection consisted of the rare film songs and the classical renderings of instrumental and vocal items by the leading artists of the sub-continent. He always facilitated the hobbyists and was an active member of the RECAP (The RECORD COLLECTORS ASSOCIATION of Pakistan). He passed away on 9th April 2011 at Lahore due to cardiac failure. I (Khawar) have the privilege of meeting him many times in Peshawar and Lahore. He was very generous with his collection of rare songs and tried his best to circulate them throughout the entire music-loving community. His global friends along with his family (3 sons and a daughter) join to mourn his demise. May the Almighty bless him and may his soul rest in peace.